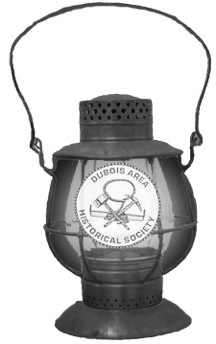 DUBOIS – On Oct. 12, the sixth annual DuBois Area Historical Society Spirit of DuBois Lantern Walk will focus on DuBois’ supreme test of “spirit,” the Great Fire of 1888. The event will concentrate on DuBois’ greatest disaster, a fire, which destroyed most of the business in then a relatively new community. Tours will leave from the DuBois Area Historical Society beginning at 5:30 p.m. and every 20 minutes thereafter and go around the Long Avenue area. The 2013 Spirit of DuBois Lantern Walk commemorates the 125th anniversary of the Great Fire from its kindling through the reaction of the community following the disaster. The characters include: a Baker House employee, a first responder, a 12-year-old heroine, a nearly fricasseed feline, an angry bartender, a tattered refugee, some society folks from Philadelphia, an enthusiastic banker, a burgess and DuBois’ oldest fireman. Performing as “Spirits” for the program are: Mel and Karen Amrhein, Mike Gressler, Katie Raybuck, Carolyn Rhoades, Virginia Schott, Tom Shade, Sue Stapleton, John “Herm” Suplizio, Tharren Thompson and Bob Zercher. Hanghood Productions will be filming the Lantern Walk to produce copies that will be available for sale after the event. The filming will take place during the early walks. “We invite the entire community to come out and support the historical society,” said Schott. “This is your history, come and experience it.” He said 768 people attended the first five Lantern Walks. To make advance reservations for a specific walk time, telephone 814-371-4627 between 10 a.m. and 9 p.m. Tour groups will be limited to 20 people. Walk-ins are also welcome and will be assigned to the next available tour. The walk is approximately one-mile and will last a little more than an hour.